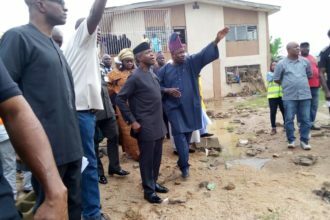 The Ajaokuta Steel Complex in Kogi State will soon start working again for the benefits of the people, Vice President Yemi Osinbajo, has assured. He gave the assurance at the Civic Centre in the Palace of Attah of Igala, Dr. Michael Idakwo Ameh Oboni, as part of the administration’s campaign for the coming elections. The vice president said when completed the project will make business activities in the area to be active and many people will be employed. According to him, the government has finally completed the Itakpe-Warri Rail road in preparation for the revitalisation of Ajaokuta Steel. “Unlike the previous government, President Muhammadu Buhari is not only a honest man, but also a doer that gets things done. 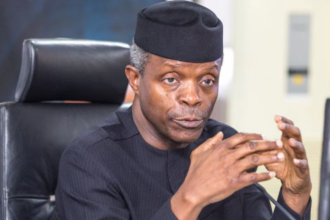 “You will need to see for yourself that we are going to test-run the Itakpe-Warri rail road in few days time, and you will see everything that is being put in place,” Osinbajo said. He said the administration had employed 500,000 youths under the N-Power initiative and would increase the number to one million when re-elected. 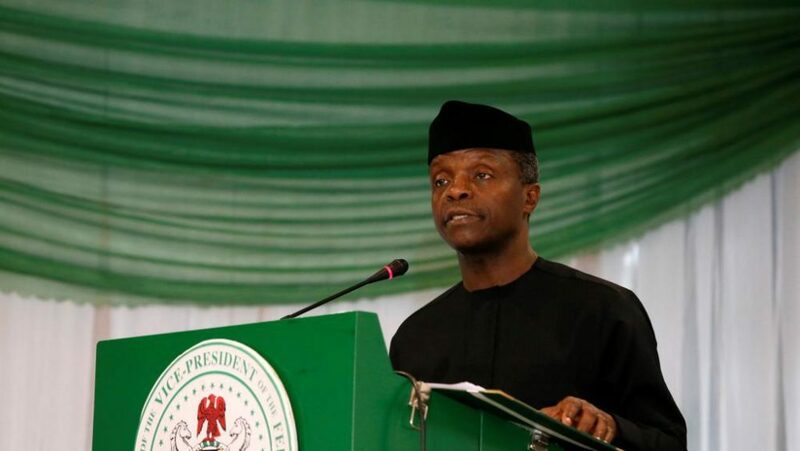 “Our desire is that every Nigerian should live a good life and have the ability to put food on his table,” Osinbajo said, urging the people to come out en masse and vote for Buhari and All Progressives Congress (APC) candidates at all levels in the forthcoming general elections. Kogi State Governor Yahaya Bello restated that President Buhari had promised that the Ajaokuta Steel would be resuscitated and would be producing for Nigerians. 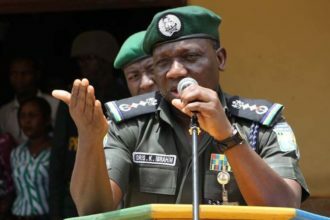 He appealed to the people to get their Permanent Voter Cards (PVCs) and vote massively for all APC candidates, deliver them at all levels and avoid violence. The Attah of Igala, thanked the Vice President for coming to Kogi State, especially Igala land. “We, the people of Kogi and the entire Nigeria, are very grateful to God for saving your life and that of your crew members. We can see all good works you are doing, and it is left for us to reciprocate it because‘one good turn deserves another. “We need to agree and partner with you. Our governor is an indefatigable governor, full of wisdom and very hard working; we promise to support you,” the monarch said. Kogi Presidential Campaign Council Director-General, Mr. Edward Onoja, said the state had impacted the lives of the people across the three senatorial districts.